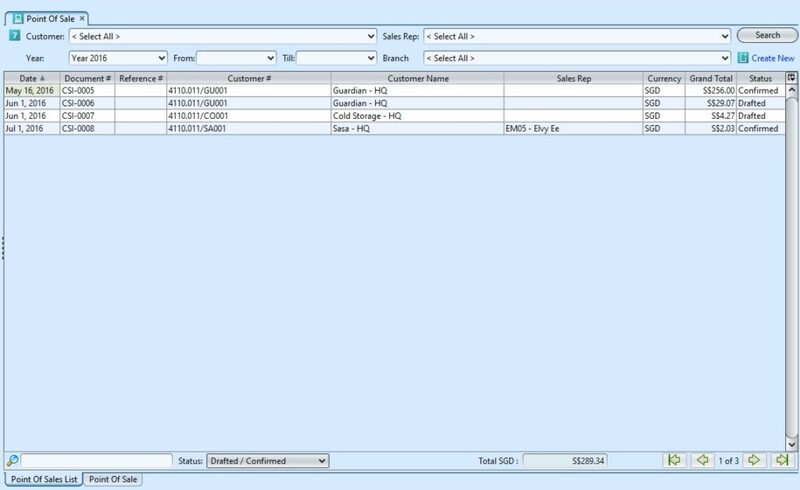 Update, delete, view and search for sales transaction details. Payment Means – Memo Memorandum. 11. The item’s promotion will shown from Applied Promotions tab if there is any. 12. The payment’s amount need to be change from the Payment Mean after confirmed the document because the promotion only shown after confirmed it. After change the amount, click Enter or ” ” button. 2. 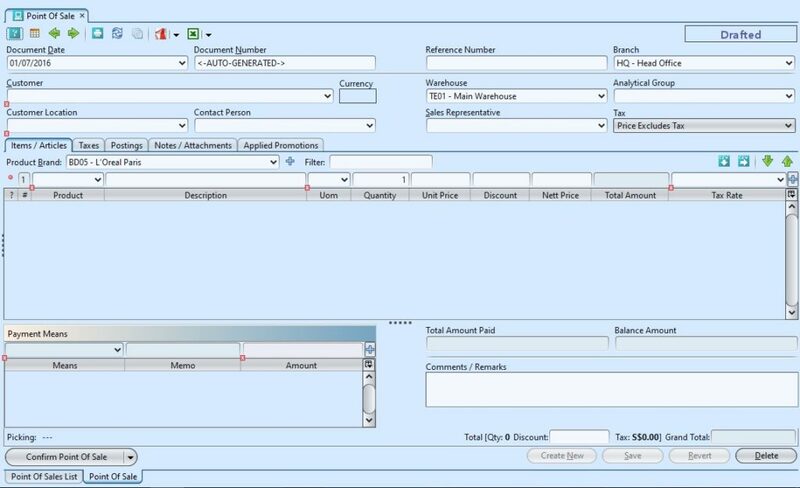 Double click on sales transaction to be updated, it will bring up the details on “Point Of Sales” tab for the selected transaction. If a sales transaction’s status is “Confirmed”, right click on the transaction and reopen the confirmed transaction first.